I love the variation in petal formation and arrangement. 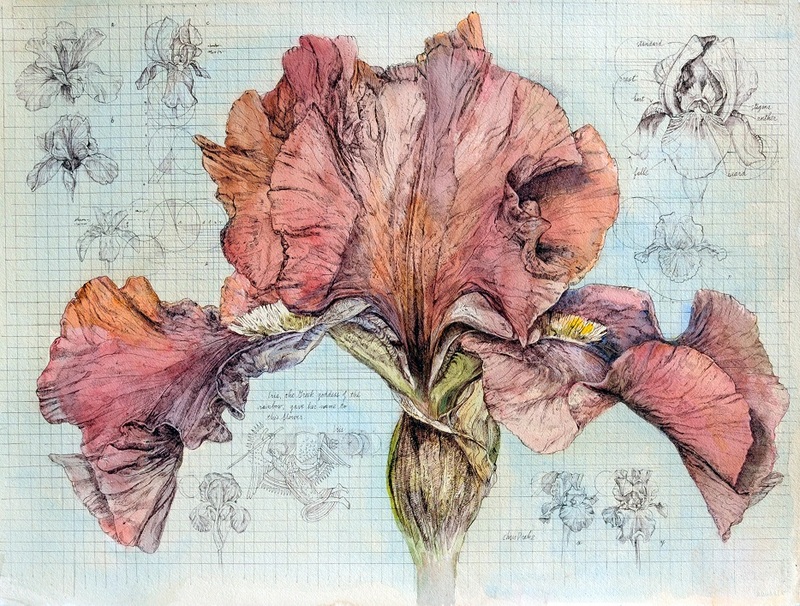 Iris, the Greek goddess of the rainbow, gave her name to this flower that blooms in a panoply of colors. This painting was on display at the 36th Annual Members' Show at the Carriage Barn Arts Center in New Canaan, CT in September, 2013. To see images of the event, please visit my News update about the exhibit.